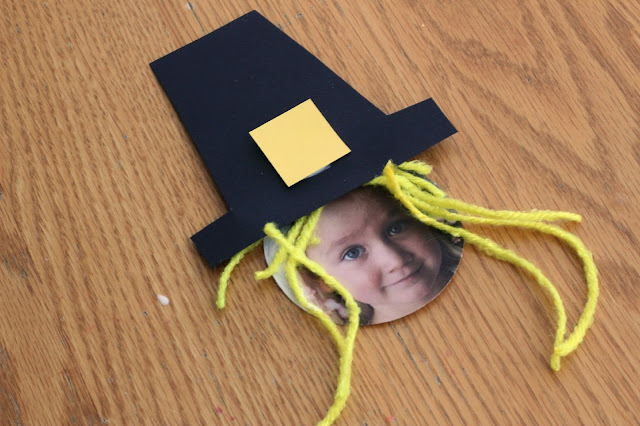 During November we mostly focus on turkey themed crafts for some reason, so this year we decided to try a pilgrim themed craft! My daughter had a Thanksgiving feast at school and got to dress up like a pilgrim. 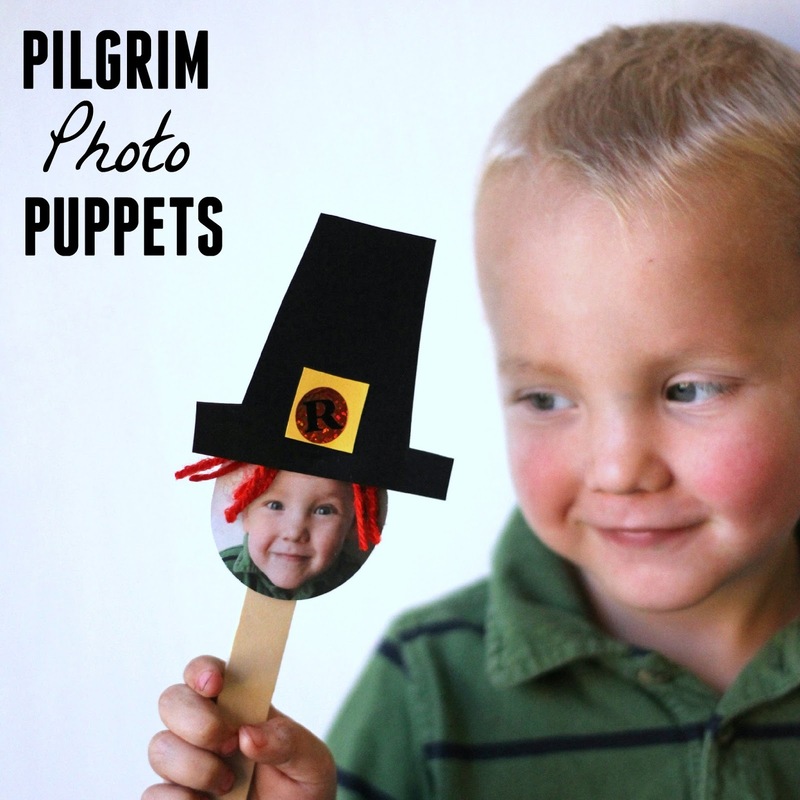 We decided to continue the theme at home and make some pilgrim photo puppets so the kids could re-enact the first Thanksgiving. They also used their handprint turkey puppets. 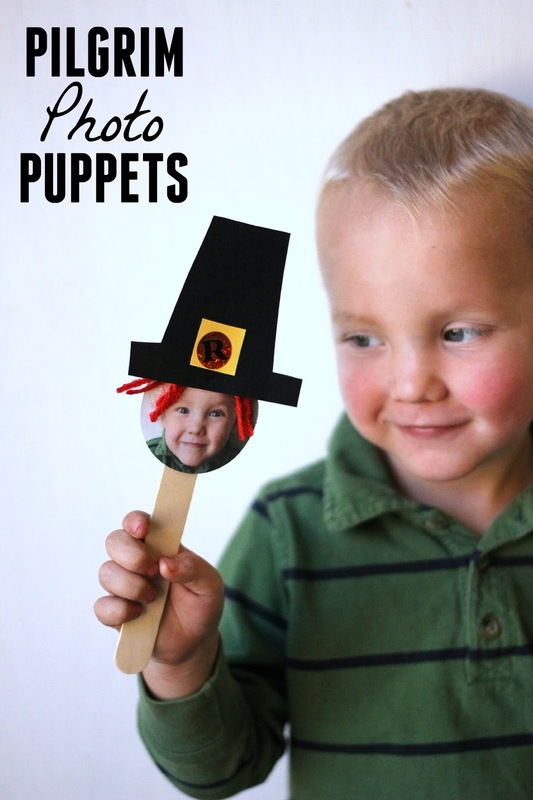 These pilgrim puppets are SO EASY! Start by printing out a photo of your child of just his head! Then use a circle punch or scissors to cut around the head. Next you'll want to select some pilgrim hair and glue it on. My kids thought it was really fun to pick craft hair colors that were different than their normal hair colors. We made a few of these. 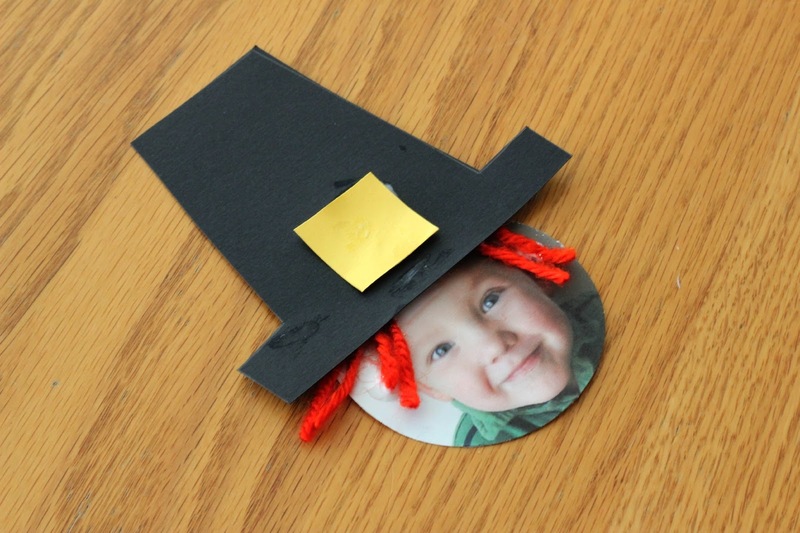 After that, glue a pilgrim hat onto the top of the photo and add a yellow square for the buckle. 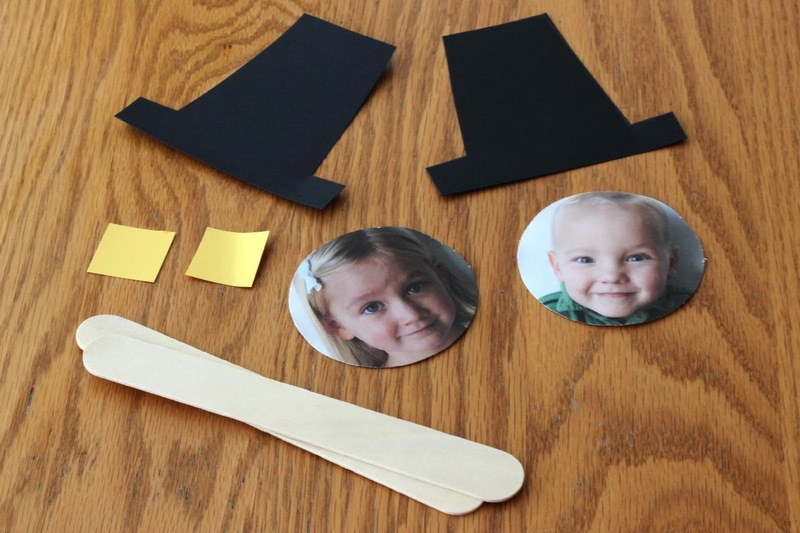 Next glue the photo onto the craft stick and let it dry. We finished these up by adding alphabet letter stickers on the pilgrim hats based on the names of the kids. Now you are ready to put on a pilgrim puppet show! 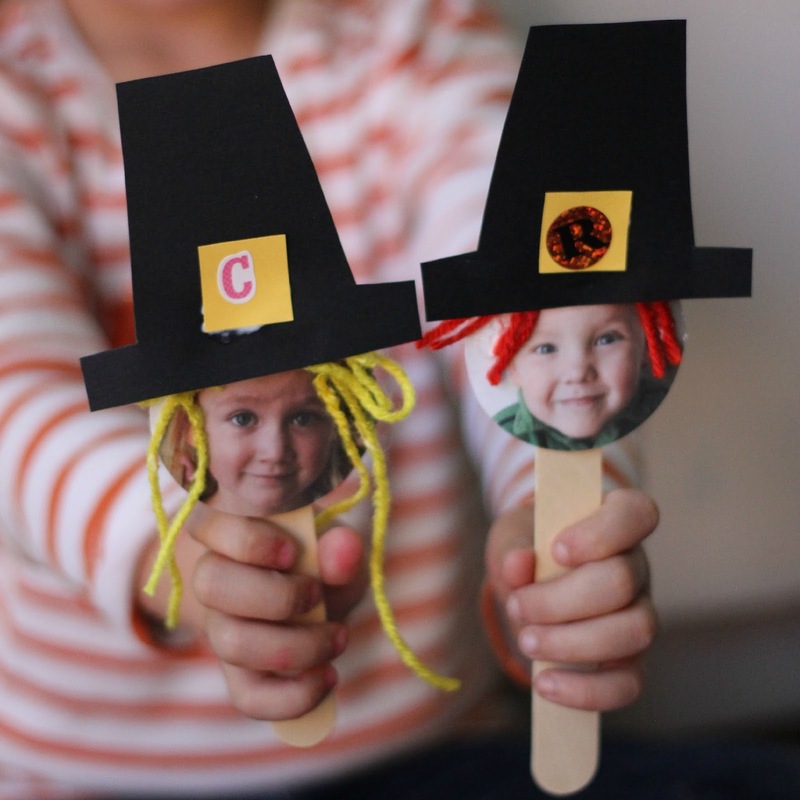 Do you have any other favorite Thanksgiving crafts? You can find several of our favorites in our Simple Thanksgiving Activities and Crafts post.